This assumes a multi-level water loss (Class 2 | Cat 1). DriHeat performance drying equipment was exclusively employed (Power Distribution Boxes notwithstanding). 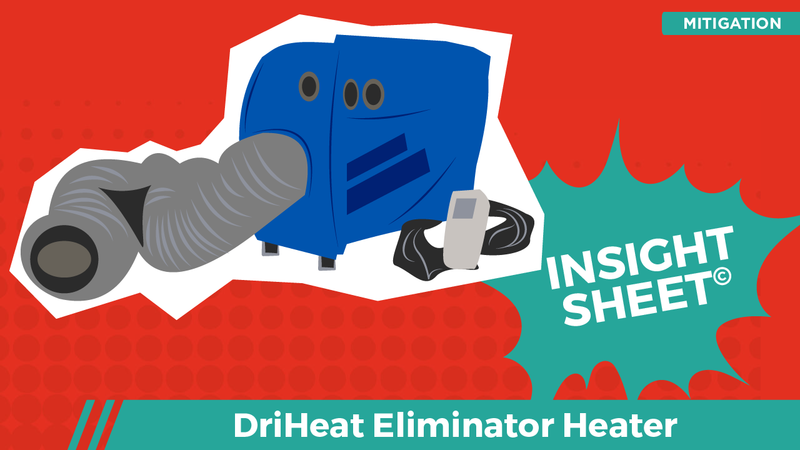 Due to the fact that the Eliminator maintains temperatures within such tight tolerances, it was not necessary to employ remote monitoring for this project. The Eliminator was deployed in an effort to save a lower cabinet array. Ultimately the performance drying was successful, in part due to the fact that the cabinets were high grade and displayed plywood side supports. The scope/cost of the repair was substantially reduced because the DriHeat equipment was able to save the cabinetry in place. It remains unlikely that this strategy would be feasible if the cabinets were comprised of particleboard. 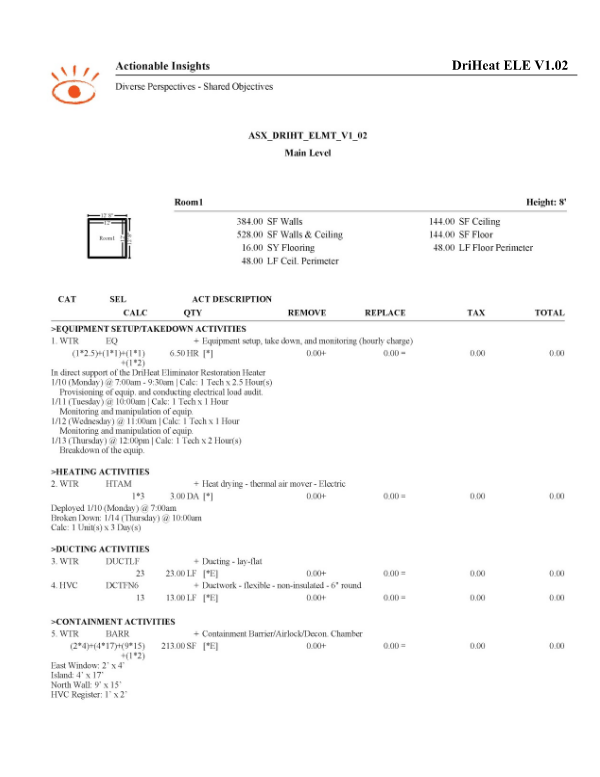 This Insight Sheet exists to clarify how one might invoice for a DriHeat Eliminator Restoration Heater.